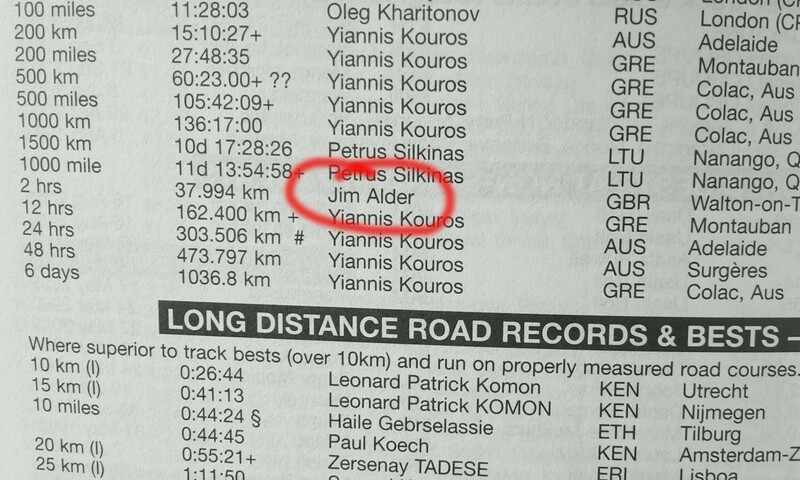 Jim Alder’s world best for two hours has stood the test of time. AW recently featured the story of the Morpeth Harriers legend and his record-breaking run from 1964 that has survived for more than half a century. The feature was well received by readers, although one or two not surprisingly mentioned that two-hour record attempts are hardly commonplace and perhaps explain the longevity of this particular world best. So why does an enterprising meeting organiser not stage an attempt at this world best? It could take place on the track during the two hours just before a big track and field meeting begins, with the stands gradually filling with more people to coincide perfectly with the climax of the record attempt. Alder’s mark was set in Walton-on-Thames in October 1964 and saw him complete 23.6 miles (37.994km) for two hours. It roughly equates to 2:13 marathon pace so should be within the ability of a few British distance runners. At a time when it is sometimes a struggle to fill seats at major domestic events and during an era when traditionally televised events are falling off the TV schedules, then an attempt at a long-standing yet achievable world best like this would offer decent entertainment as crowds arrive into a venue. Added to this, as runners swirled around the track one of the natural talking points would be the prospect of a two-hour marathon – and how possible, or impossible, it might be in coming years. Alder could present the prizes and no one would be happier to see this old record fall than the 1966 Commonwealth marathon champion himself.